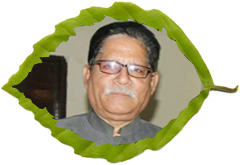 He is the Principal of Government Ayurveda College & Hospital, Gurukul, Haridwar, Uttarakhand, INDIA. 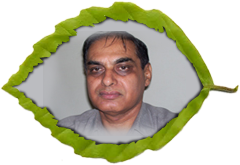 He has over 40 years of experience in Ayurveda treatments, Diagnosis, basic principles of Ayurveda and Panchakarma therapy. He is one of the most senior expert of Ayurveda in the country and credited with training a large number of Ayurveda Doctors, thus contributing significantly towards preservation and propagation of the ancient school of Ayurveda medicine. Is considering to be a Master of basic principles of Ayurveda and teaching the same to young and enthusiastic pupils of this age old piece of knowledge in his favorite occupation. Prof. Dr. S.N. Srivastava (Retd. H.O.D. Medicine & Panchakarma – Govt. Ayur. College & Haspital GuruKul, Haridwar – India, Himalaya. He is 70 years old more than 45 years of experienced Ayurveda Physician in north India, siddha in different types of disease specially in – Respiratary system (swasvaha srotas), Urinary system (mutravah srotas), Digestive system (Annavah srotas). 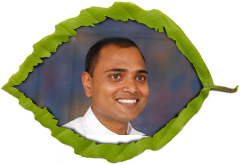 He do pulse diagnosis, trainings in panchakarma therapy and credited with teachings with large number of students of Ayurveda, thus contributing scientifically towards preservation and propagation of Ayurveda herbal system of treatment and diagnosis. He is considering to be a Master of Ayurveda Medicine and Panchakarma and teaching the same to all young and enthusiastic pupils of this age. Qualified Ayurveda Doctor, Bachelor of Ayurvedic Medicine & Surgery (B.A.M.S.) Ayurveda Degree from Gurukul Kangri Ayurvedic College & Hospital, Haridwar Uttarankhand, India, affiliated to CSJM Kanpur Univesity. Panchakarma Certificate from Mallinath Ayurvedic Centre, Bangalore, Karnataka and Post-Graduate Diploma in Panchakarma from Vinayaka Mission Deemed University, Tamilnadu, India. P.G. advance diploma in Naturopathy & Yoga science from Punjab University, Chandigarh, India. M.Sc. in Holistic Health and Yoga from Uttarakhand open university. Ex. Medical officer, Government Ayurvedic Hospital, Bamswal, Almora, Uttarakhand. Expertise in Panchakarma detoxification/ rejuvenation treatments, Ayurvedic Therapy, Pulse diagnosis, Identification of 250 medicinal plants, Ayurvedic consultation, lectures on Ayurvedic philosophy, herbs & diets, Pharmacy manufacturing of medicines. Established Ayurveda Panchakarma centre in Jan 2005 at Parmarth Niketan Ashram, Rishikesh, India; Managing and providing all Ayurvedic treatments, Naturopathy treatments, Consultations, Dilevering lectures on Ayurveda, Giving training in Ayurveda, naturopathy and panchakarma. He learned and experienced Ayurveda treatments in the guidence of my Guru Dr D.N.Sharma and Prof. Dr.S.N.Srivastava from Haridwar Ayurveda college and Hospital, Gurukul Kangri, India. He has increasing number of cliental from all over the world especially from U.S.A and Europe. Few of the testimonials can be viewed on the Web. He learn and experienced Ayurveda treatments in the guidence of my Guru Dr D.N.Sharma and Dr S.N. Srivastava from Haridwar Ayurveda college and Hospital, Gurukul Kangri, India- Himalayas. He is very calm, living in nature on the bank of river Ganges, could hear roaring of Ganges flow, practicing Himalayan Yoga for last 15 years .